You must be a member of the New York Themed Parties Group to attend this activity. Would you like to join this group? 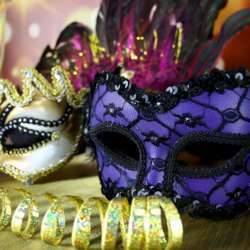 Let's make this winter Protected content , warm, social and fun celebrating the Carnival season with a Masquerade Social Night Event! Dress up for the night, wear a mask and be ready to meet new and old friends! There will be super fun music too!